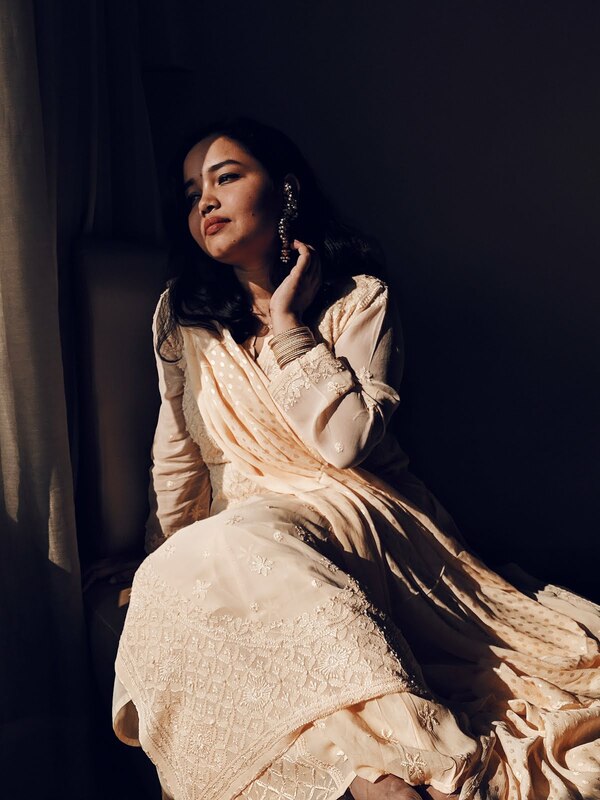 FabBag is an Indian beauty box subscription service where you can get beauty products based on your needs and requirement each month. They charge you Rs 599 for the products along with shipping. You get better deals when you buy for more than a month. You have a fill a questionnaire in their website and they send you products based on that. 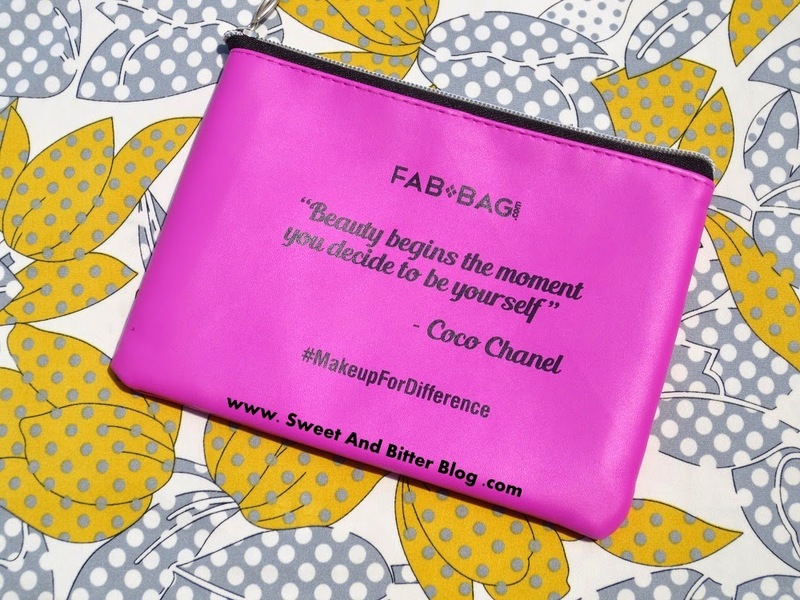 This March, FabBag did something special. 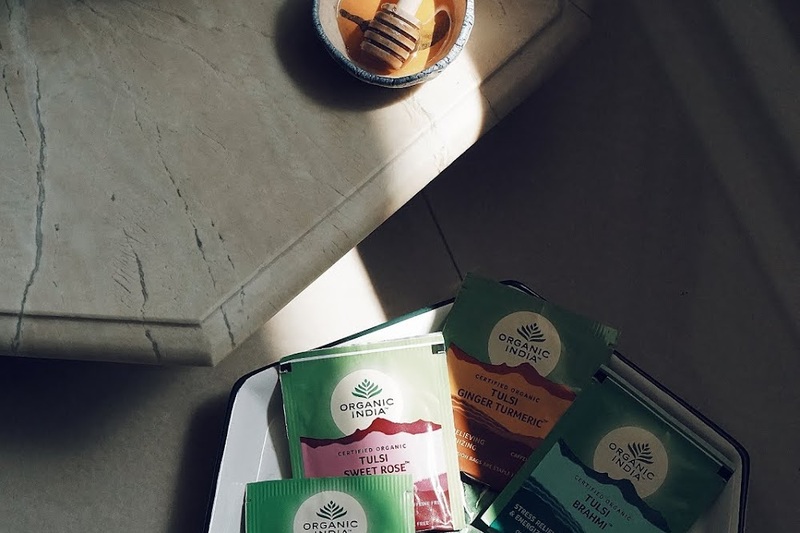 This time, all the products are natural. Also, they collaborated with Milaap.org on the occasion of International Women's Day. 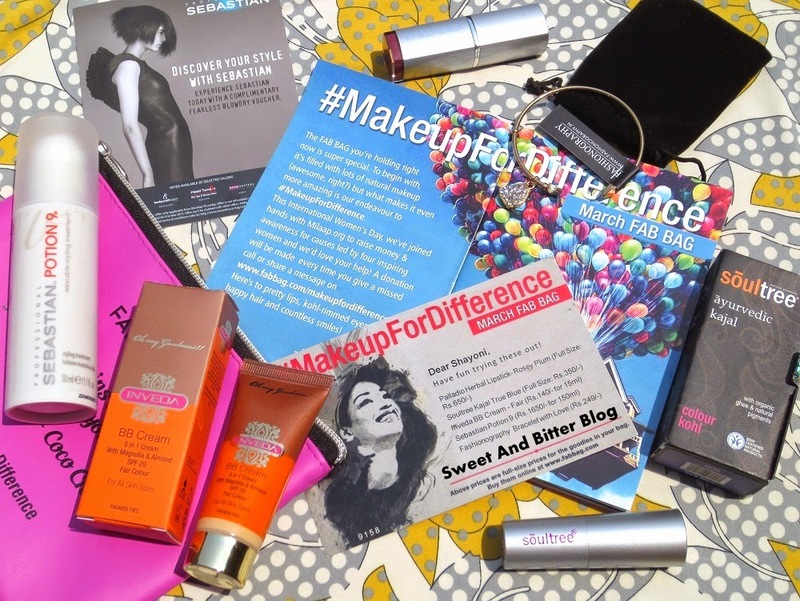 A donation is made each time someone gives a missed call (on 022-30987956) or share a message on www.FabBag.com/MakeupForDifference. Isnt't that great? 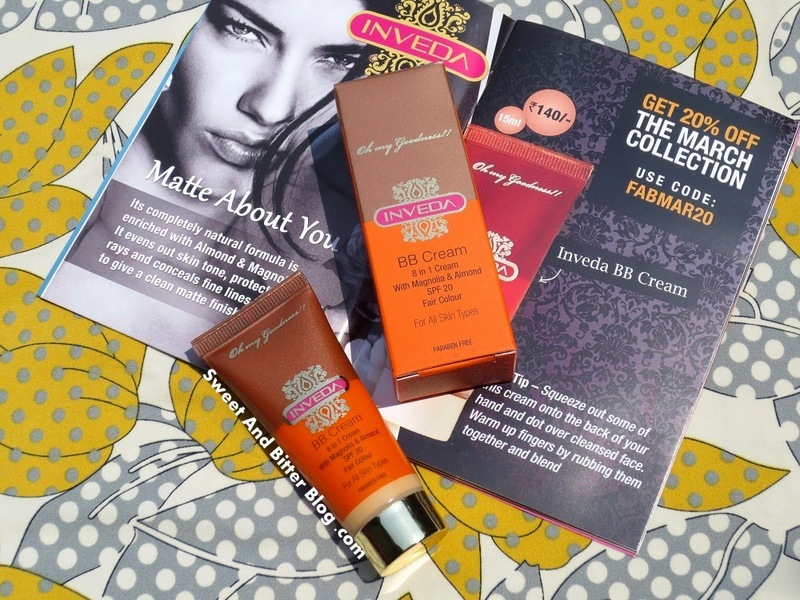 Inveda BB Cream (Rs 140 for 15ml) - A paraben free, vegan BB cream enriched with Magnolia and Almond. It also contains 20 SPF. 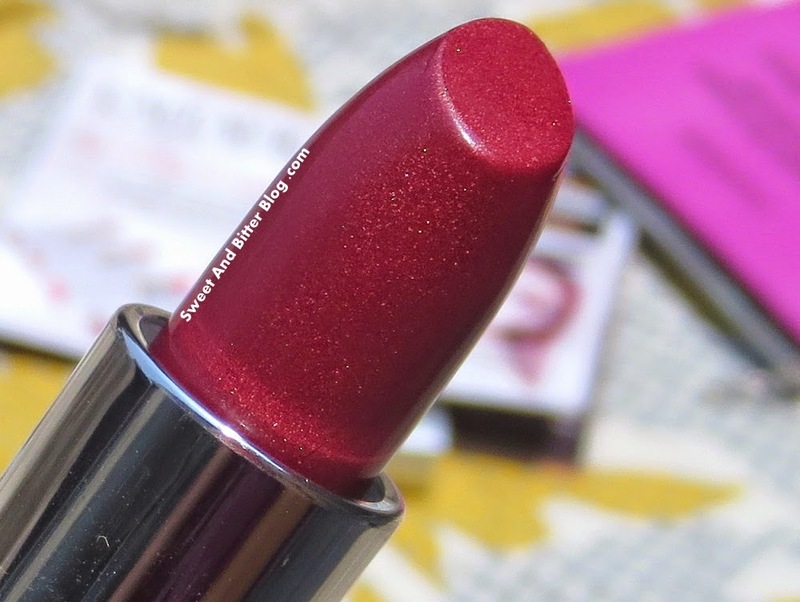 The cream is easy to blend and the shade is perfect for my color. 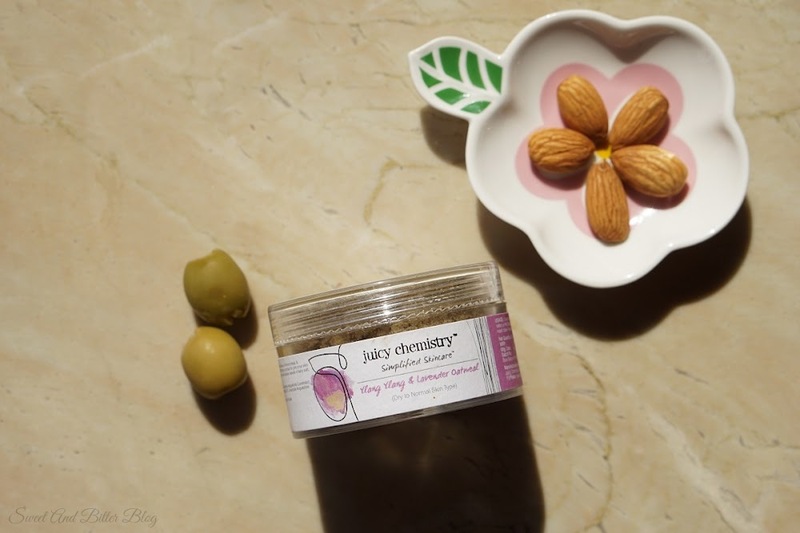 I have tried Inveda's body butter and I must say that they do make good products. 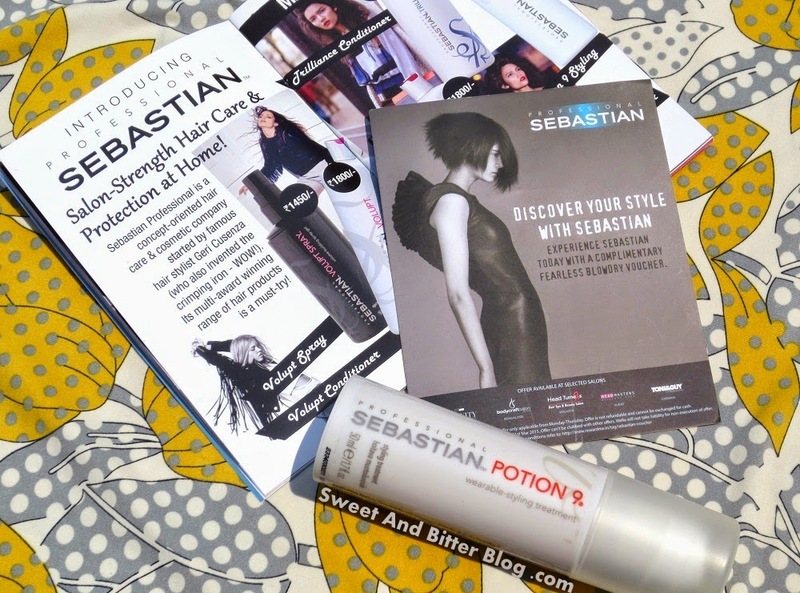 Sebastian Potion 9 Wearable Styling Treatment (Rs 550 for 50ml) - I am most excited about this because I need to try my hand on styling products. I am kind on clueless as of now about how to use this for best results. 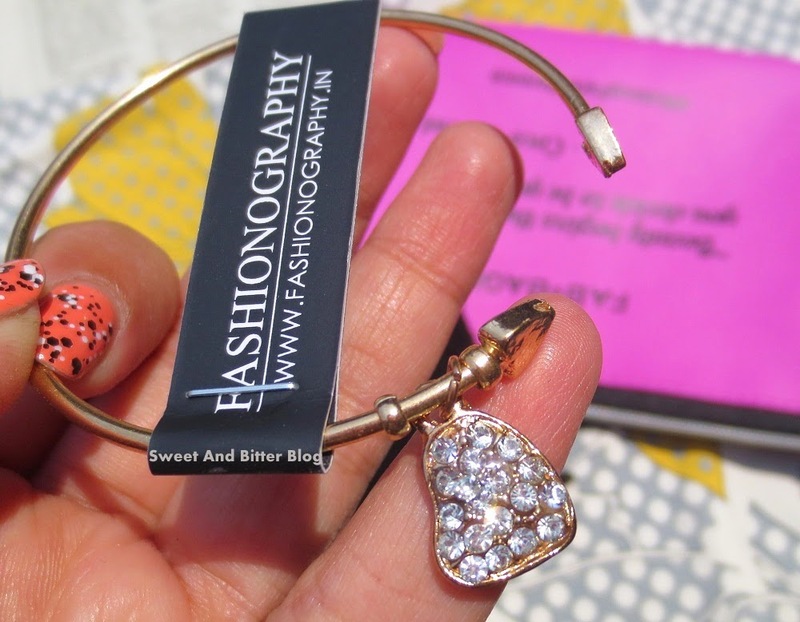 Fashionography Bracelet with Dangling Heart (Rs 299) - This a bonus in March's FabBag. There are other designs as well. 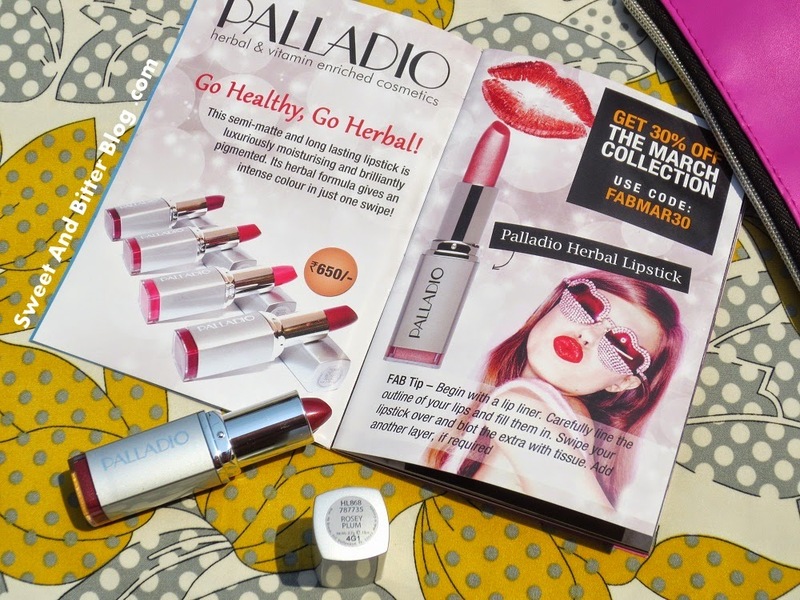 Palladio Lipstick in Rosey Plum (Rs 650) - It has a herbal formula and comes in 4 shades. 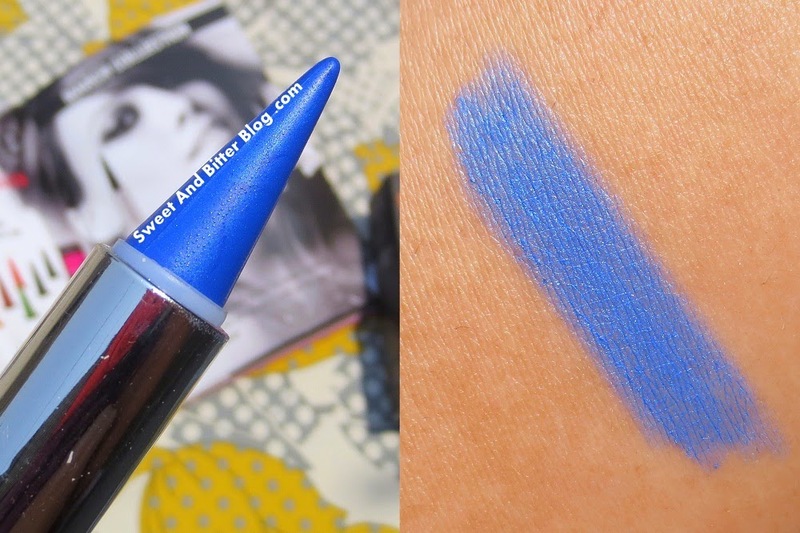 But, the shimmer in this color, makes me least excited about this. No wonder, I pushed it to the bottom. LOL. I would have loved to try the non-shimmer shades. FabBag gives good deal for Rs 599 - 4-5 products with samples along with full sized products. 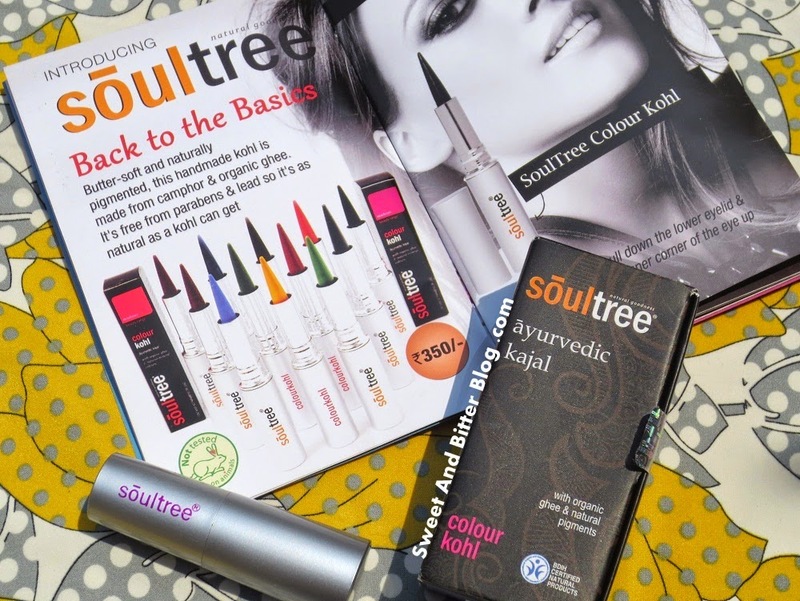 This time, the box had a product for hair, one for eye, one for skin and one for lips, along with a jewelry. Each time they give a pouch of completely different design. 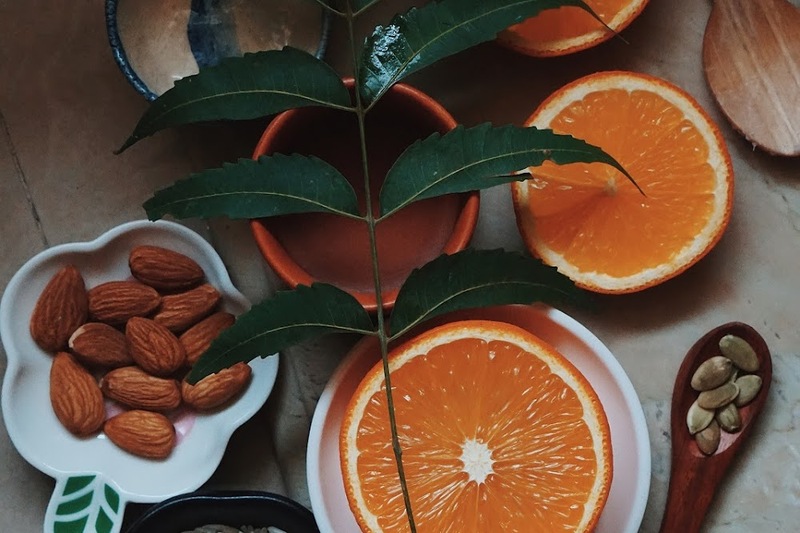 You can subscribe for more months to get better deals. And the bag come to you without any additional shipping or handling charges. You can subscribe for your bag HERE. Annnnnnnd there are boxes for men as well. How cool? You can subscribe for men's FabBag HERE.